The nucleophilic reactivity of fluoride ion is altered in the presence of hydrogen-bond donors, including alcohols. 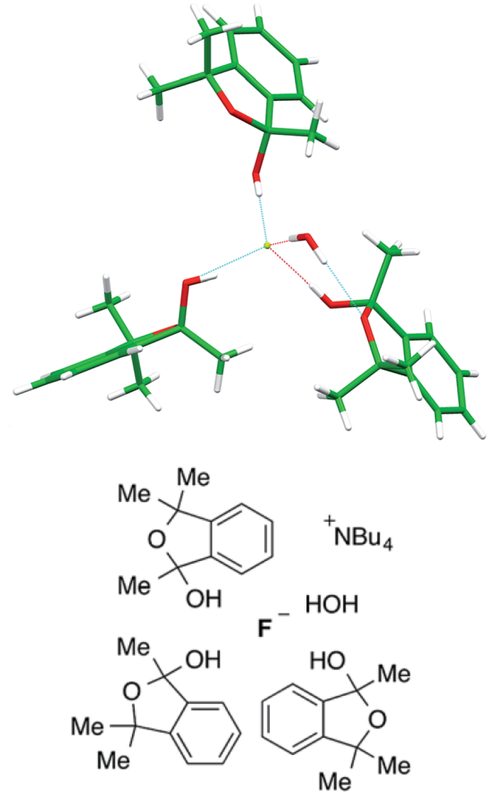 Relatively little is known about the coordination involved; to rectify this, the X-ray structures of fourteen novel fluoride–alcohol complexes with tetrabutylammonium as the counterion have been determined. The coordination number varies from two to four depending on the steric bulk of the alcohol and is closely linked to trends in reactivity. This diversity in coordination stoichiometry is unprecedented but significant, as it implies differences in the ability of the fluoride-alcohol complexes to dissociate in solution with release of a more active and/or selective fluoride source.